FREE Face Painting & Balloon Animals from Changing Faces. YOU get Free access to the Easter Bunny before he makes his "official" 2012 tenure at the mall. Think about that...FREE pictures with your kids and the Easter Bunny. Yes, you can bring your own cameras! The first 100 kids will get a gift certificate for a FREE kids meal to TX Roadhouse. 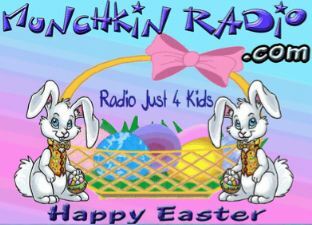 The First 20 kids will get an exclusive 2012 Munchkin Radio Easter T-shirt.